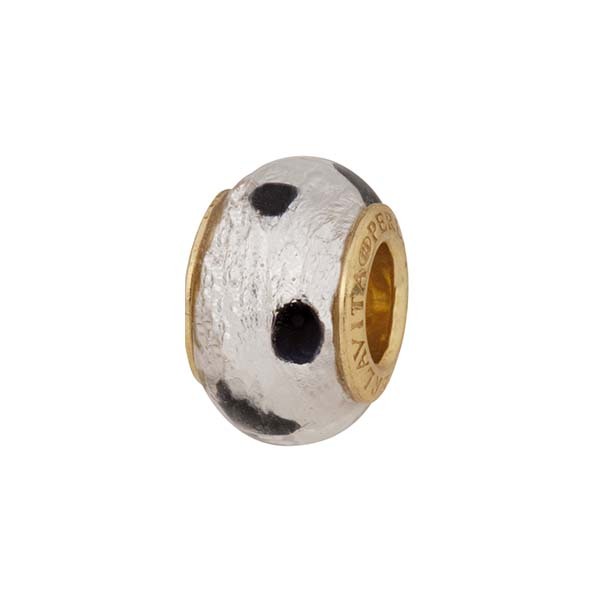 This PerlaVita large hole bead features bright Clear Murano Glass over .925 Sterling Silver with black dots all around. Exact placement of dots is random as each one is handmade. Finished with a vermeil insert, this is our most narrow size of 5mm hole beads, measuring 14mm x 8mm. Fits on most brands of modular bracelets. Complete with authenticity card.